1. 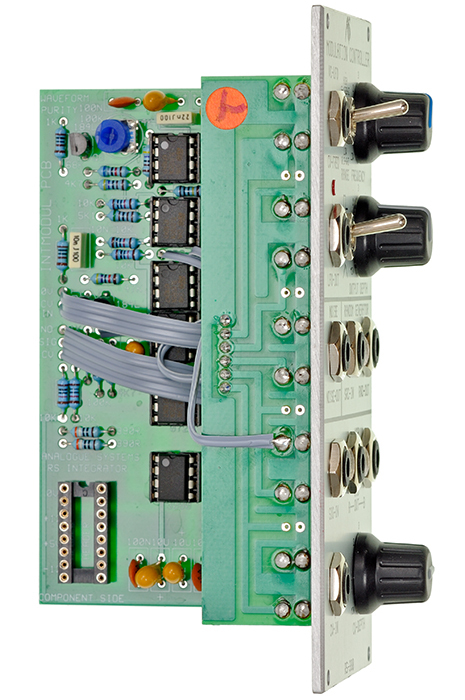 Voltage controlled LFO with two selectable frequency ranges: LOW goes from 0.3Hz to 6Hz and HIGH from 5Hz to 1.500Hz; using control voltages you can reach lower and higher frequencies, though. The CV input is not compliant to the 1V/octave characteristic. Two waveforms are available; square and triangle. 3. 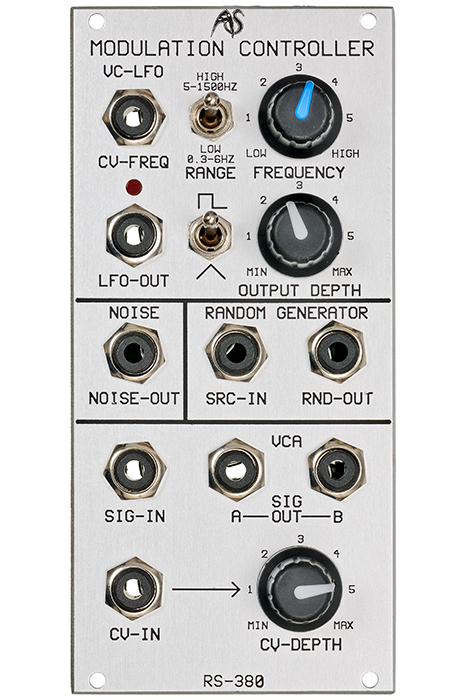 SampleandHold: due to normalizaed sockets you can use this sub-module without patching as the LFO´s square wave and the white noise are pre-patched. 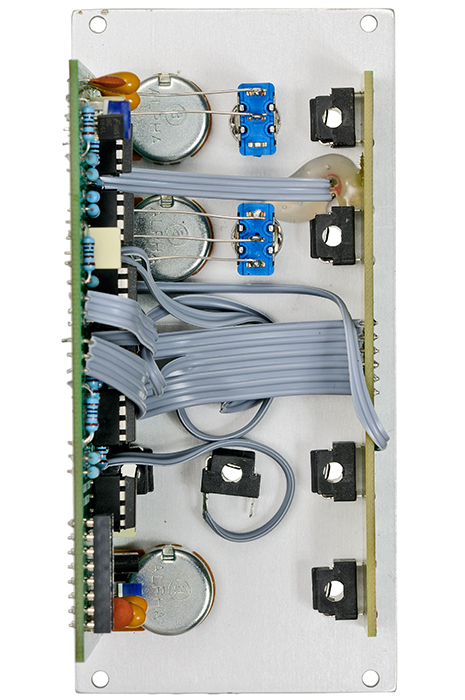 Alternatively you can insert other signals than the internal white noise through the Source In socket.